Sanctifly |A global provider of travel wellness options and activities at airports. A global provider of travel wellness options and activities at airports. The app that aggregates all the healthy alternatives when travelling, including access to airport hotel gym, pool and spa facilities without having to book a room. Download the App for instant access to airport hints tips and hacks, travel exercise and stretch videos all for free! Member benefits gain instant access to our global list of wellness partners at airports including hotel gyms, pool and spas and our Jetlag plans. 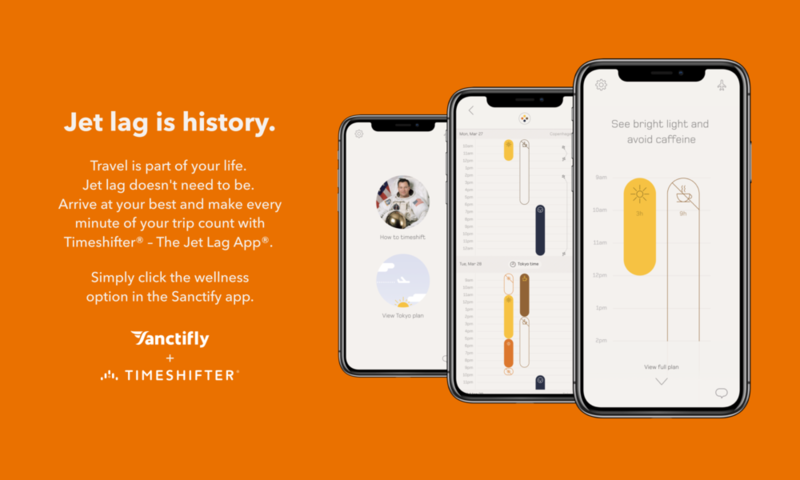 Sanctifly helps everyone change their travel routines to improve wellness. Every time you fly. Wellness options from 10 minute stretches to spa days. All located in the terminal and 5 miles around every international airport. Perfect options before, after or between flights. For news and updates, as well as travel tips visit our blog.